While Xiaomi is busy in preparing the launch of the Mi 9, a new report has emerged on the Web that suggests the development of a phone with all four curved edges. The Chinese giant has patented a new design that would come as a full-screen smartphone with a four-sided edge display. This sounds similar to the edge-screen panels being used by Samsung on its flagship models. However, unlike the South Korean company that provides curved edges on the right and left sides of the display panel, Xiaomi is apparently looking to give some curvature on the top and bottom as well. The patent application filed with the World Intellectual Property Office (WIPO), obtained by LetsGoDigital, shows that Xiaomi has plans to bring a four-sided edge display smartphone. As per the graphical representation seen in the patent, there is a truly full-screen model with no selfie camera or earpiece at the front. The company already brought models such as Mi Mix 3 and Mi Mix 2S to give a glimpse at futuristic designs. 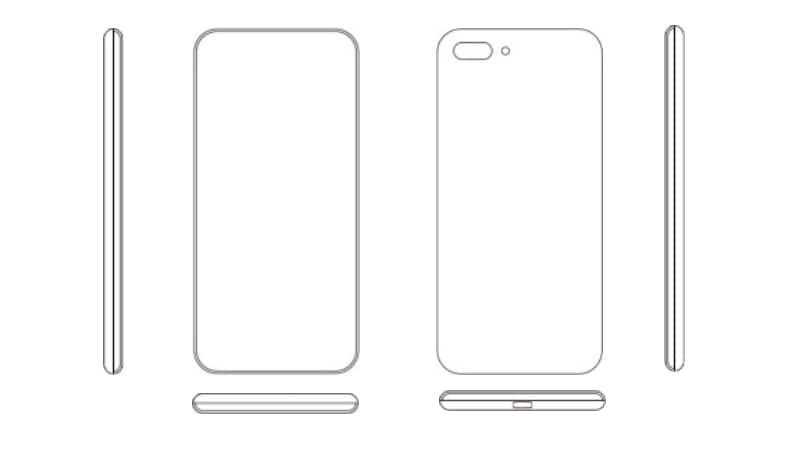 However, the visualisation of the patented technology shows that Xiaomi is set to take a step forward and bring a handset with a four-sided curved display. The phone also appears to have a dual rear camera setup along with an LED flash module and a USB port at the bottom. It is unclear whether Xiaomi will use the patent for one of its upcoming smartphones or just consider it for a concept. Models such as the Meizu Zero and Vivo Apex 2019 recently debuted as concepts with no physical buttons to give a sneak peek at the future. However, as we mentioned, Xiaomi hasn't yet jumped on that bandwagon and is busy in making way for its next flagship that is expected as the Mi 9. The Xiaomi Mi 9 is speculated to debut with an in-display fingerprint sensor and include a triple rear camera setup. The smartphone is also rumoured to have 27W fast charging support and may have top-of-the-line Snapdragon 855 SoC. Moreover, the Mi 9 is expected to debut sometime later this month with a starting price of CNY 2,999 (roughly Rs. 31,600).